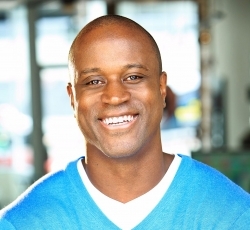 West Hollywood, CA, September 27, 2018 — In an exclusive interview, Kassim Osgood, 12 year NFL veteran speaks with THC.com about how turning away from the prescribed opioids towards CBD helped not only with pain and recovery but also as a treatment for many of the other side effects from being an elite athlete. Kassim Osgood is a seasoned veteran of the NFL and a three time Pro Bowl player. In his illustrious professional career of over a decade he played for the Chargers, Jaguars, Lions and finally as a wide receiver for the 49ers. It also came with no small amount of hard knocks, having suffered over 800 concussions, unsatisfied with opioid based pain medications prescribed by the league he overcame his own misgivings about marijuana and, in his retirement, turned to CBD. In the interview, Kassim talks about the benefits of CBD and in particular Pure Hemp Botanicals. Pure Hemp Botanical’s mission is to put compassion into action through the entire creation process of their CBD oil products. PHB is a true soil to oil CBD company that launched in 2014. THC.com launches the largest single online marketplace for cannabis related products on a unique custom built platform that seamlessly combines social media, ecommerce and original programming. On THC.com, vendors can sell their products, users can join and build communities and everyone can make money with a unique one click affiliate marketing solution. THC.com is owned and operated by The Hit Channel Inc. The Hit Channel was formed in April of 2017 by the founders: Will Hobbs and Ali Digius to service the needs of the cannabis industry with it’s unique software platform. Please come and check out the site and email us at [email protected] for inquiries.